Trendy, smart and one of a kind, Eone timepieces are like no other. Designed to equally accommodate both sighted and vision impaired users, these incredible timepieces don't require sight to tell the time. With a variety of designs available such as Mesh, Leather and Canvas, each of these timepieces provide great comfort for wear and a fashionable touch to your attire. 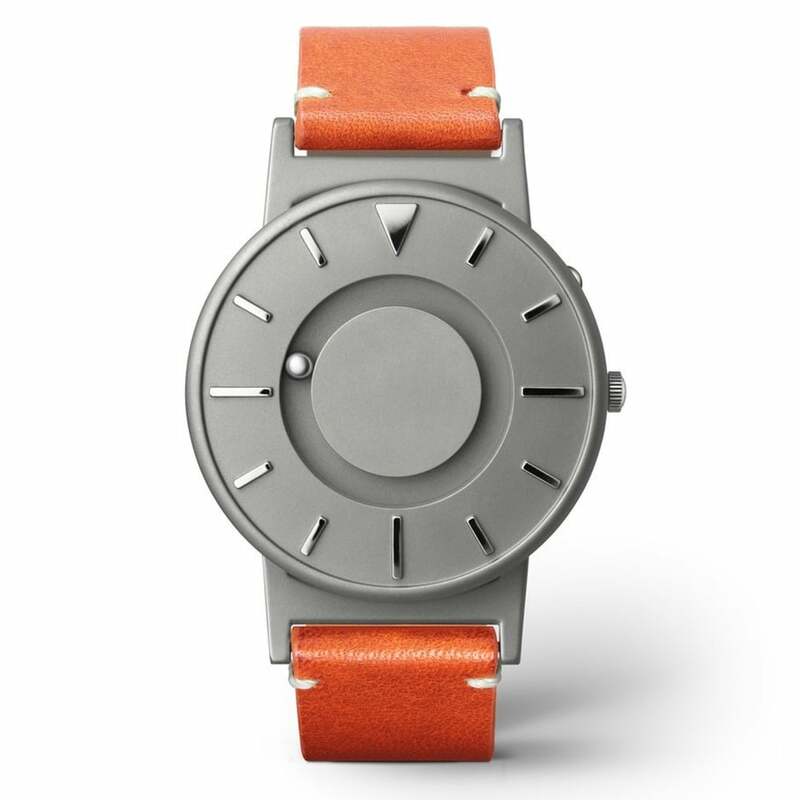 The brand's debut product, The Bradley, functions with raised hour markers, that allow you to feel the time by touch. A triangular marker for 12, elongated line segments for three, six and nine, and shorter line segments for the other markers. Two magnetized ball bearings travel around the watch face in separate recessed tracks: One track around the center of the watch's face surface for the minute, and one track around the outside edge of the watch face for the hour. Each of these impeccable timepieces come presented in an Official Eone Presentation Box, provided with a 1 year Manufacturer's Warranty.